This one-bowl recipe is my vegan twist on jeera biscuits, a South Asian cookie studded with toasted, fragrant cumin seeds. 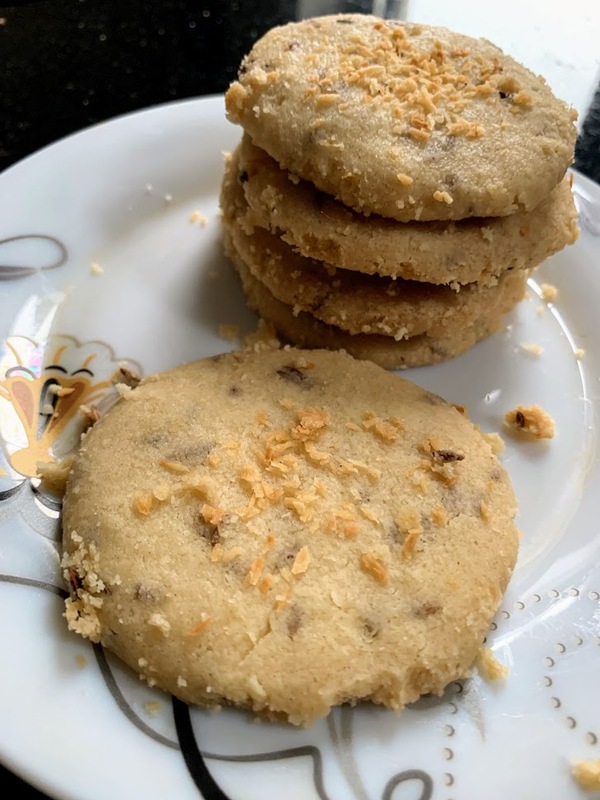 Typically made with butter, the salty-sweet biscuits have a similar texture to shortbread and are often eaten as a teatime snack in India and Pakistan. 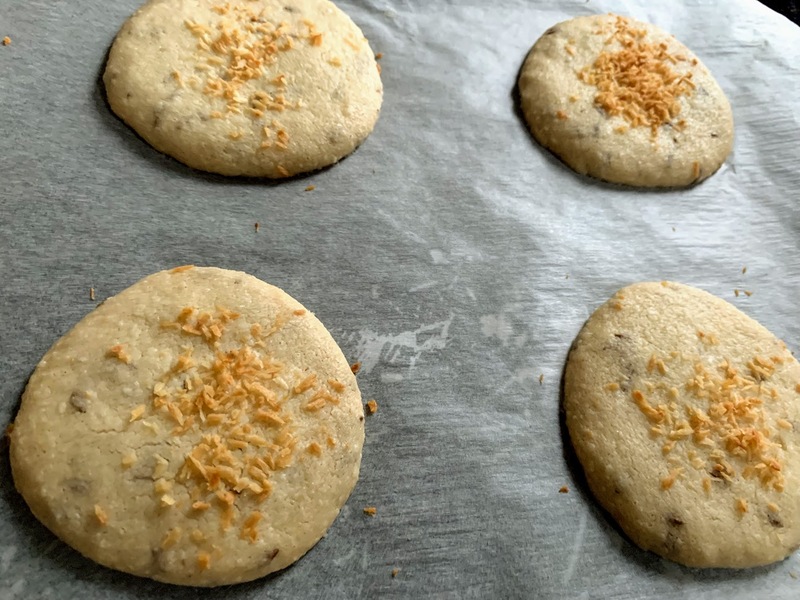 I swapped coconut oil for butter, yielding a soft, crumbly, melt-in-your-mouth cookie. Traditionally, jeera biscuit dough is rolled out and shaped with cookie cutters. Here, the cookies are rolled into balls, flattened by hand, and then sprinkled with shredded coconut. Toast cumin seeds in the oven for 3-4 minutes, until fragrant. Remove and set aside to cool. In a large bowl, combine sugar and melted coconut oil. Stir in salt and toasted cumin seeds. Mix in flour until just incorporated; the dough may still be slightly sticky, but if it’s too sticky to work with, add one or two more tablespoons of flour. Scoop tablespoons full of dough and roll into balls. Flatten with your hands until around ⅛ inch thick and place on prepared baking sheet (these cookies don’t spread out much in the oven, so you don’t need to leave a lot of space between them.) Sprinkle generously with shredded coconut. Bake for 10 minutes, then reduce the temperature to 325 degrees F and bake for another 4-5 minutes, until edges and bottoms of the cookies begin to turn pale golden brown. Let cool on the baking tray. Serve right away, or store in an airtight container at room temperature.